In 1917, in that sliver of border land between Georgia and Alabama, Pearl Jewett ekes out an existence as a dispossessed farmer along with his three criminally-minded sons Cane, Cob, and Chimney. Hundreds of miles away, another farming family, the good-natured Fiddlers, have been swindled out of their family fortune while reeling from the disappearance of their son Eddie, who left to fight the Germans. When a crime spree sets the Jewetts on a collision course for the Fiddlers, an unlikely--and turbulent--relationship begins between the families. 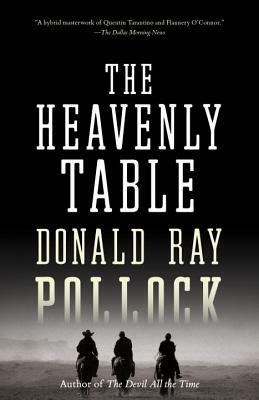 In the gothic tradition of Flannery O'Connor with a heavy dose of cinematic violence reminiscent of Quentin Tarantino, Donald Ray Pollock pens a bloody tale of dark and horrific conflict between two families in an era not so distant from today.